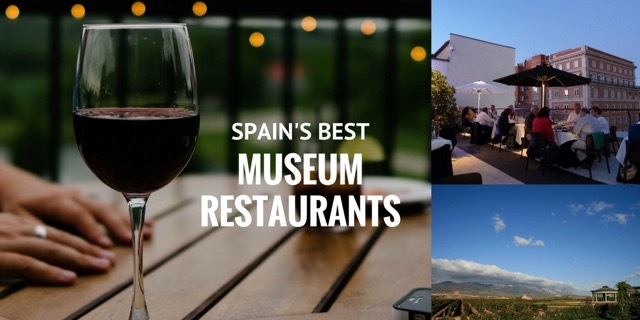 One of the top eateries in Spain and it’s located inside a cutting-edge museum too! If you feel like a foodie experience inside the Guggenheim space which is celebrating its 20th birthday this year, Nerua restaurant has a Michelin star, is ranked #56 of the world’s best restaurants in the world and is often accused of upstaging Frank Gehry’s titanium-clad art gallery. Chef Josean Alija started working in the museum’s restaurant in 1998. In 2011, he opened a new separate dining space inside the Guggenheim called Nerua which was awarded a Michelin star in the same year. The accolades continue as this year Nerua was selected as the #1 restaurant in Spain by Conde Nast Traveler Spain magazine (see link in Spanish here). As you might imagine, the dining experience requires a little time and a bit of an investment. The tasting menu starts at 110 euro but you can also order from the a la carte menu if you don’t have the time to eat your way through the 9 + item tasting menu. You can order a wine pairing or an alcohol-free pairing also which is always helpful if you plan to do some touring of the museum or drive afterwards. Not yet convinced? You can read this detailed review of the restaurant here and check out a video of the restaurant here. To read more about Bilbao, see our guide to Bilbao city. Nerua opens Tuesday to Sunday from 1pm-3pm and Wednesday to Saturday from 8.30pm to 10pm. You also have the more informal Bistro which is perfect for a drink and a snack and more relaxed meals including a three-course menu for under 30 euro. 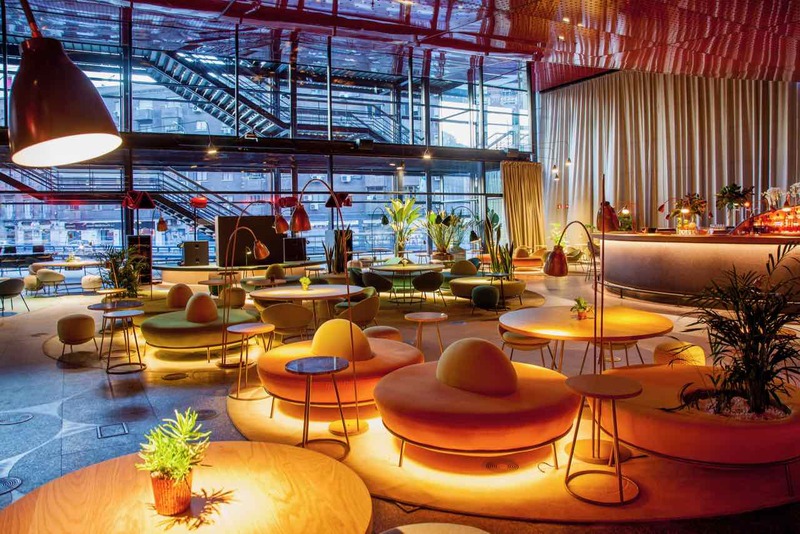 For its sheer colour, coolness and sense of fun and creativity, when in Madrid you have to try out NuBel located inside the Reina Sofia museum of contemporary art. The café/bar/restaurant was given a facelift in 2016 by Paula Morales and its funky design and colour scheme links beautifully with the surrounding exhibition space designed by Nouvel. Open from 9am til late (around 2.30am! ), you’ll be able to enjoy coffees and breakfast, lunch, afternoon snacks and evening meals along with DJs sessions and more. We can’t think of a better place to retire to after looking at Picasso’s Guernica. See this video to appreciate more of its design or make your way to the entrance on Calle Argumosa, 43 (inside the Nouvel building) when you are next in Madrid. Check the website here for details of special events. NB There is a second restaurant within the Reina Sofia museum (on the Sabatini side) if you prefer a more formal setting – see Arzabal for more information. Definitely home to one of the best museum restaurants in Spain, the Circulo de Bellas Artes on Calle Alcala, 42, is a real Madrid institution with a hefty programme of cultural events and resources including its own radio station, which broadcasts an enjoyable magazine programme in English called Madrid Live which you can listen to here. It’s also a great place to see a movie or exhibition and relax and grab a bite. We’ve been enjoying La Pecera restaurant on the ground floor for drinks and affordable set-price meals in very pleasant belle-epoque surroundings for years. But that’s not the only space worth dropping by. 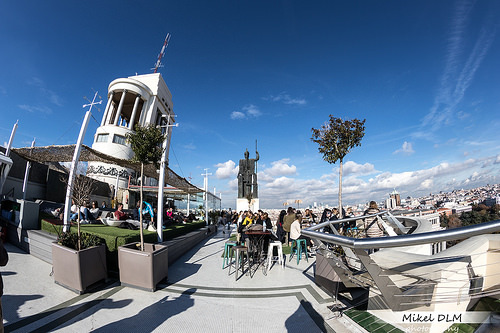 If it’s views you are after, make your way up the 56 metres to the roof terrace for the Azotea bar which opens from 9-9 on Mon-Fri and 11-9 on Saturdays, Sundays & public holidays. Entry to the bar currently costs 4 euro and it’s well worth it. If you don’t believe us, check out this handy webcam on the roof terrace to give you a sense of the panorama and vantage point over the city! Another handy café inside the golden mile of Madrid’s museums. It’s a little pricey if you compare it to what you’ll spend if you walk 5 mins into Barrio de Las Letras but when you’ve been a few hours exploring the Thyssen-Bornemisza‘s permanent and temporary exhibitions – that may not matter so much. We’ve been very thankful to have refreshments at the lovely outdoor space attached to the café, open in the warmer months. 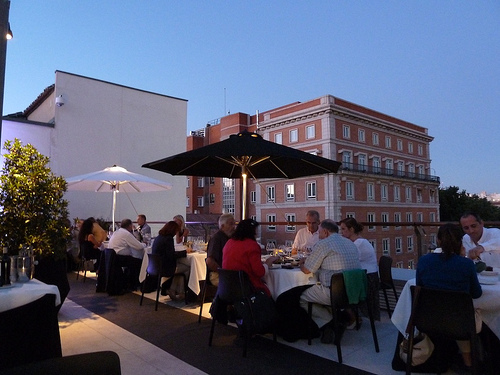 And if you are looking for a rooftop table in the summer, you might want to check out the fifth floor known as the Mirador del Thyssen which opens for the months of July & August. Again, it’s a little pricey but the views are extremely pretty. Café opens 10am-7pm Tue – Sun. El Mirador restaurant is open from 8.30pm – 1.30am during July & August. For more see the museum’s website. 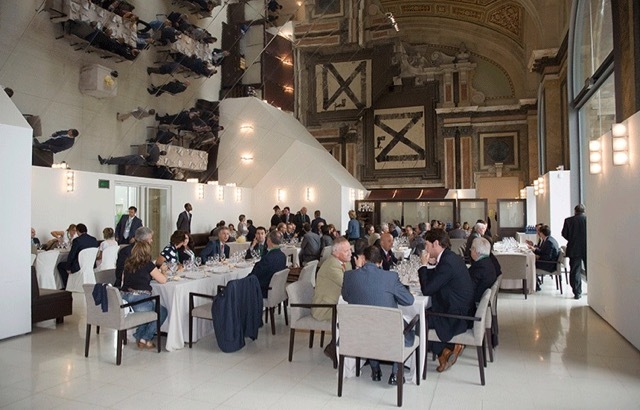 Another of our best museum restaurants in Spain with stunning views in Barcelona is the restaurant Oleum that opens for lunch and dinner and offers a number of set menus as well as a la carte options. Chef Fina Puigdevall, who has two Michelin stars for her Les Cols restaurant, is the food advisor at Oleum – so you know there is a certain standard to begin with. We like the fact that the menu includes six types of vermouth – which is always a good start to any lunch. And as you sip on said vermouth, take a look around what was the old Throne Room of the Palau Nacional, from where King Alfonso XIII inaugurated the International Expo of 1929. It’s a memorable spot for its views of Barcelona alone. Don’t forget to visit the museum‘s collection of Romanesque art, learn about Modernism in the city and enjoy Parc de Montjuic. Watch this video of the dining space to see the space and its unique city views. Everybody who visits the Catalan capital wants to see Gaudi’s Barcelona which always includes a visit to Casa Mila. Why not make this café a part of the experience? The space was originally designed by Gaudi as a restaurant and today’s decor and atmosphere still resembles what he put in place. 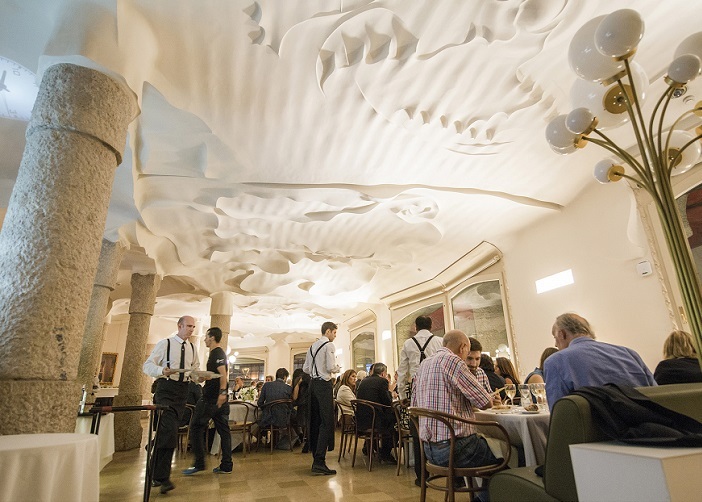 Offering everything from coffees and snacks to drinks, brunches, lunches and evening meals, you can’t beat the Café de la Pedrera for a backdrop. Check it out here on Google Maps to get a sense of how wildly creative this space is – especially the wave-like ceiling! The only right angles you’ll find will be those of your chair and table. Although you can access it before or after your visit, you can also just pop in and have something without paying entrance into the UNESCO-listed monument. Located on Paseo de Gracia, it opens early for coffees and breakfasts at 9am and closes at midnight every day so there’s no excuse. Check out its Facebook page to see when live jazz sessions are scheduled and watch this video of the space to really get a full sensory experience. Want something with sustainability at its core? Norai café and restaurant inside the MMB (with a lovely outdoor terrace too) hires its staff from the nearby Raval neighbourhood and is the type of initiative that would make Jamie Oliver proud. 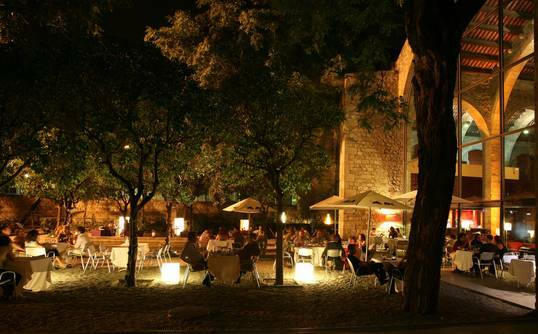 So, for that socially responsible cup of coffee or glass of cava on the terrace, or a full meal at great prices, check out this stunning café and restaurant that opens seven days a week from 9am to 8pm in the Portal de la Pau. For more info see the MMB services webpage, watch this video (in Catalan) about the initiative and see its Facebook page. If the quality of the wines produced at this unique winery/museum for wine isn’t enough to tempt you right now, perhaps the cooking will! 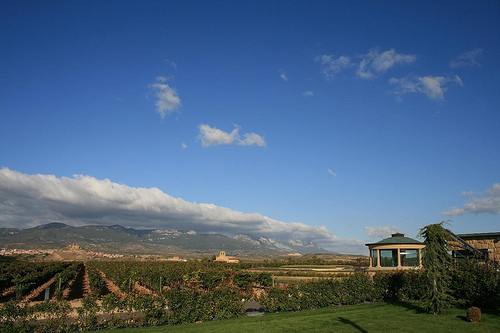 Located in the rolling countryside of La Rioja – you’ll adore the museum which we wrote about in our guide to La Rioja. As you’d expect, the cuisine in the Rioja meets the high standards of the wine and inside the museum in Briones, you can enjoy two very competitively priced tasting menus starting at 37.50 for a four-course meal including wine. 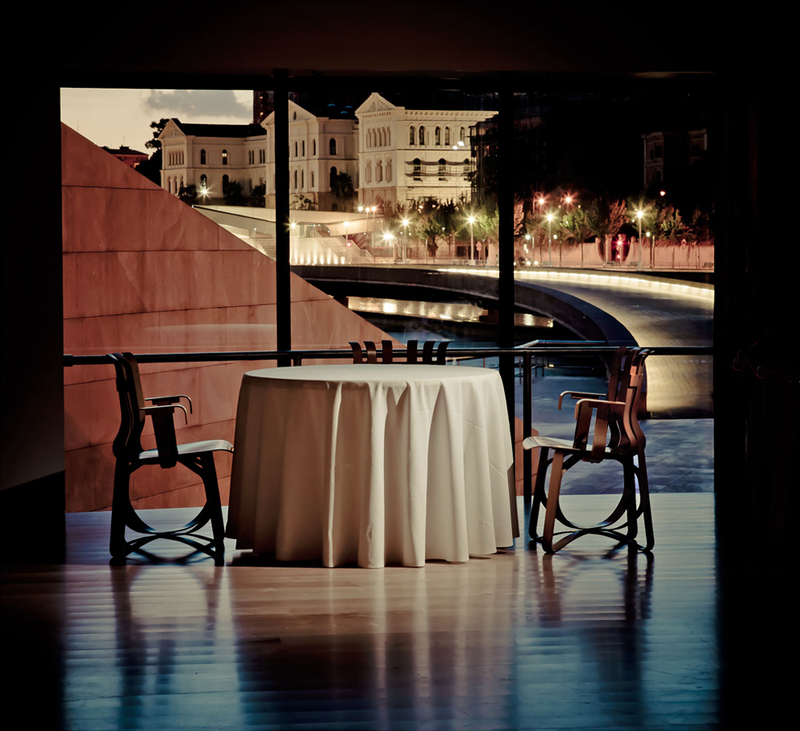 The panoramic restaurant overlooks the Sierra de Cantabria so you know the views will be special. If you want to try something a little different, Vivanco also provides ‘show-cooking’ activities where you see an amazing number of dishes being prepared with wine. If you’ve never done something like this, you should consider it and make sure you pre-book in advance. And if that wasn’t enough – what about a gastrobar in the museum where you get to try some freshly prepared tapas with a glass of whatever you fancy? Contact the winery museum for opening hours and more. As you know, Spanish paradores are located in some pretty special locations and none more so than this former monastery. Located on the site of a Nasrid palace (under King Ferdinand and Queen Isabella’s orders) the parador remains inside the Alhambra complex and is located beside the Museo de la Alhambra. Stay here or stop by and have something to eat or drink and take in this unique setting. Try to book ahead to reserve a table on the terrace overlooking the gardens and Generalife which are always highly sought after! As with other paradores, the restaurant here provides a great array of local and regional ingredients and typical dishes including gazpacho, remojón granadino (cod and orange salad), baby broad beans with ham, monkfish in mozárabe sauce, Alpujarras-style goat, San Francisco monastery cake, and piononos de Santa Fe (sponge cake rolls topped with cream). 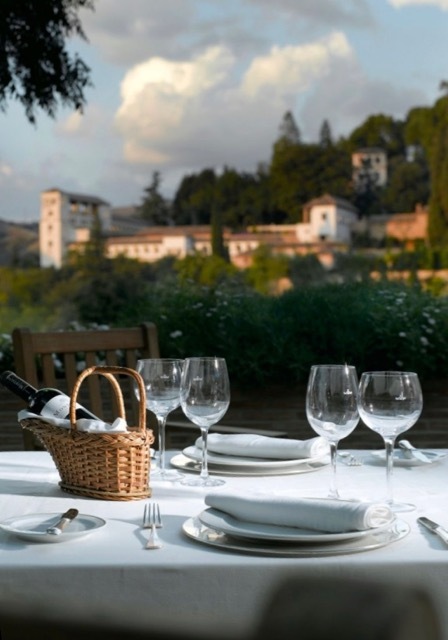 If you’d like to learn more about other impressive paradores in Spain, see our blogpost here. 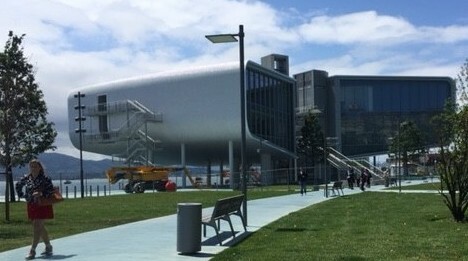 Chef Jesus Sanchez recently gained his second Michelin star for the Cenador de Amos restaurant located just outside Santander in Cantabria and the timing coincides with the opening of his newest culinary space (on June 23) inside the Renzo Piano designed art centre overlooking the bay of Santander. We can’t wait to try out his new location – and hope to do so very shortly! 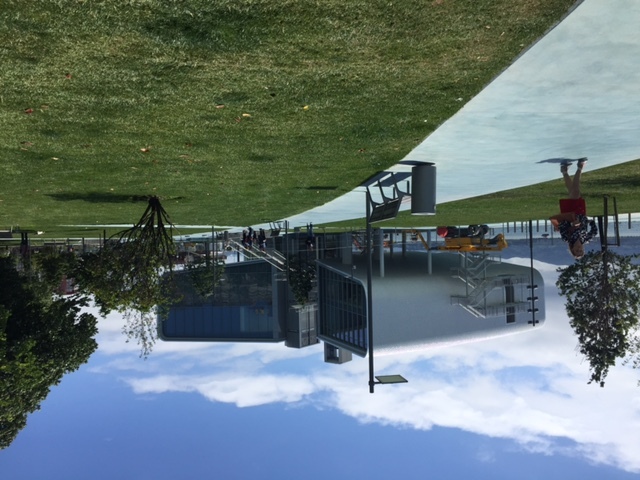 If you want to learn more about this new cultural space in Cantabria, see centrobotin.org for more details. Posted in Barcelona, Bilbao, Granada, Guggenheim Bilbao, La Rioja, Madrid, Museums & Galleries, Santander, Useful Information and tagged Alhambra, Azotea, bar, bistro, cafe, Casa Mila, Centro Botín, Circulo de Bellas Artes, El Muelle restaurant, Guggenheim Bilbao, La Pedrera, La Rioja, Mirador, Museu Marítim de Barcelona, Museu Nacional d’Art de Catalunya, Nerua, Norai, NuBel, Oleum, Parador, Reina Sofia Museum, Thyssen Museum Madrid, Vivanco.